I know you wanted to know what stroller Kim Kardashian will get. Well, yesterday she was spotted strolling through NYC with Orbit Baby Stroller Travel System G2. I absolutely love the white frame and black infant car seat. I think it looks sleek and modern. Many celebrities have been seen with the G2 Travel System. The G2 Travel System comes with a orbit baby car seat, frame, and a seat. The seat is removable and while your baby is little, you can just replace it with an infant car seat. 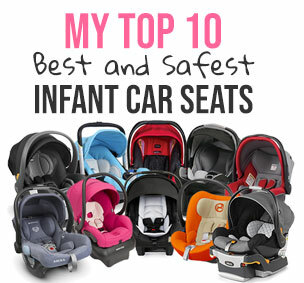 The cool thing about the car seat is that you can dock it into your car from nearly any angle. You can also easily rotate the attached infant car seat from parent facing, to forward, to sideways. No other travel system does that! G2 also has innovative QuadShock™ suspension that will provide your little one with a smooth ride. This baby folds with one hand and is very compact. You can even roll it behind you like a luggage. It has build in cup holder and a key tray right between the handle bars. This system is not cheap. It retails for around $1,000. But, I found it on Amazon for only $936 (free shipping/free returns and no tax). If you like this news, please click “Like” button below.